In Bali, people coming with different purposes and destinations. One will go to the beaches, and the other is just coming to restaurants to taste its unique dishes. Beside the Balinese meals that you should taste, there’s another product that you should have, the coffee. In Bali, the most popular coffee is Kintamani Coffee. It comes with so many varieties, and people will usually have their own favorite from the list. 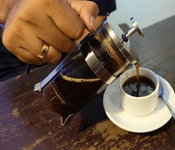 So, we made the list for you, for today, a list of the popular coffee in Bali which you can get easily and exclusively on this island. 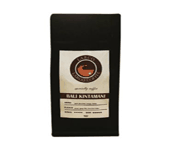 The first kind of Kintamani coffee is Ranin Kintamani. Ranin is actually the acronym of Rakyat Tani Indonesia or Indonesian Farmers. The ranin coffee brand has its own coffee shops if you want to explore it, in Bogor city. The Ranin coffee shops will serve the people, the coffee lovers with so many kinds of coffee like Toraja, Wamena, and the other traditional coffee. Ranin coffee processed with the method of wet process and wet hulling. Its seeds neet to be planted first on the high of 1300 mdpl. The next one is Kebon Kopi. This coffee is also popular in Bali, being one of many Balinese Kintamani coffees that loved by both locals and also foreigners. You can notice this coffee easily by looking at the female dancer on the cover. 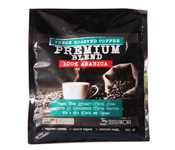 It’s a varian of arabica coffee, with the sweet and smooth texture and taste. It’s not a strong coffee, people like the girls or a new one who wants to try a bit of Kintamani coffee is best to consume this one first before going on the other “delicious” coffees. With the beautiful motto of 100% Arabica, Sentra Kopi hipnotize the customers for coming to their shop. Sentra Kopi can be said as the coffee brand that famous for distributing all kinds of coffee in the archipelago. 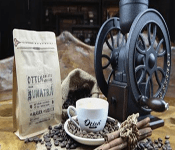 Beside serving the people with the best coffee they have like Toraja, Bengkulu, and the special Kintamani coffee, they also sell coffee making equipments. Their best product is Sentra Kopi Kintamani that roasted with medium high level. 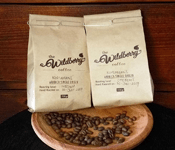 On the 4th position of the popular coffee in Bali, we put Wildberry on the list. Wildberry known as the best coffee dealer in Bali, even in Indonesia. They serve amost all kind of Indonesian coffee, and ready to accept order as fast as possible. Te wildberry shop coffee, will take and process the order at the same day. So, you’ll get your coffee as soon as possible within a day. You don’t need to wait for a few days and getting a low products. There’s a reason for them processing and distributing the coffee that fast. Because, with that way, the coffee is still fresh, and fresh coffee creates better taste. The name of Coffee Toffee is indeed familiar to Indonesians. Built in 2006 ago, the education of coffee to all people in Indonesia was and still being spread by this special coffee shop. 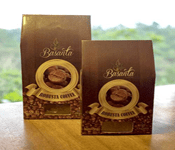 The coffee toffee has a hundred branches in Indonesia. 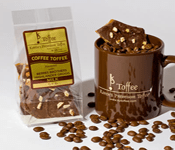 Coffee toffee also has a very special Kintamani coffee for only Rp74.900,- rupiah per 200 grams. The Kintamani has this medium level of acidity and also served with citrus flavor. For the people who want to enjoy a sip of Balinese Kintamani coffee with not an expensive price, Coffee Toffee might be the best choice. 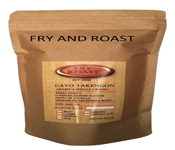 Fry and Roast is the next popular coffee creator that also can be found in the island of Bali. 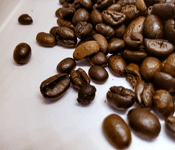 Even though it has a very simple name, which is actually the way of processing coffee seeds, it is known for having a really good Kintamani Coffee. You can have their product of Kintamani coffee for only Rp 66.500, 250 grams, so it’s more affordable Kintamani coffee you can get on this list. But, they only have the pwder version of a Kintamani coffee, not the seed one. Next one is JJ Royal, which also produces one special Kintamani coffee. They actually not serving a Kintamani coffee only, but also all the Indonesian traditional coffee including Aceh, Flores, and also Toraja Coffe. 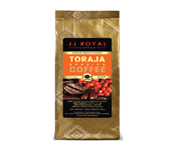 JJ Royal known for having an exclusive Indonesian coffee. What kind of taste that these exclusive coffees have? You can visit their shop or buy their products online. 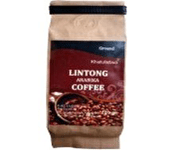 For the Kintamani Coffee, The Arabica Kintamani is like Rp73.000,- only. For anyone who wants to try a special and unique version of a Kintamani coffee, Largo Speciality can be a great choice. The Largo Speciality Kintamani coffee has the high body and high level of acidity which make the coffee different than the other else. The Kintamani has this kind of dark chocolate aroma but combined with lemon or orange flavor. So, you can imagina that a coffee like that has a very refreshing taste. Beside buying the coffee that ready to consume, you can also get the seeds version one. If you just want to lay down at your bed, you can also buy some of the best Balinese coffee in the Otten shop. It’s online, so you can access it anywhere and anytime. Beside the beautiful Kintamani coffe that you can get here, there are other coffees that you should have too, the best choices like Toraja, Aceh, and the other Indonesian coffees. Beside selling the people with the high quality seeds, many locals even foreigners ordering some toold and equipments from this store, including roasting machine and grinder. For you who have the coffee shop business, they also seell the barista tools here. Built in 2007 ago, the name of Khatulistiwa still rings a bell until this time. 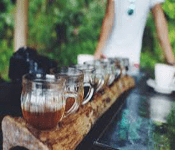 Many people who want to visit Bali, also spare their time to see the Khatulistiwa Coffee that sells one of the unique coffee that Indonesia has, the Kintamani coffee. The Kintamani coffee in here is special. It has the body bold and also a very strong aroma, suitable for the people who call themself as coffee consumers. It’s also perfect to be consumed every day because of its medium adicity. Beside the famous Kintamani coffee that sold everywhere around the world, Bali is also having one more unique coffee that originated and still produced on the island, called Balinese Robusta. With its geographical benefits, many people from Bali start cultivating the seeds. The famous area that known for having it is Pupuan. 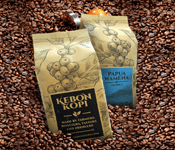 Even though the popularity of Pupuan Robusta still less than Kintamani, but it’s still great for people who want to try a new flavor of a Balinese coffee. You can buy the seed version that said to have a better taste than powder one. Indonesia blessed with the very fertile soil that can be planted with so many things, including the seeds of Liberika coffee. Even though it’s originated in a very dry place in Africa, but you can find on the coffee shops around Indonesia, especially Bali island. Even though the price of it is slightly higher than the other coffees, Liberika is known for having a very unique taste. So, it wouldn’t be bad to taste the exclusive coffee with some money. Youcan either the latte or espresso version of it. They are the best. The name of Luwak Coffee is very familiar for the people around the world these days. That’s why some of them are very curious about it, and decided to come to Indonesia to try it. In Bali island, there are numbers of coffee stores that sell it. Of course, people around the world are coming to Bali not for trying the cheap version of it, which is really easy to get, but they are coming for the original version of it, which is freshly produced. The taste is wonderful. Beside the thirteen coffee above, we also serve you with another list that containing a numbers of them more. Here’s three of the Balinese coffee that can be said as popular coffee in Bali and being favorite ones by the tourists who visit Bali. So, our list of the popular coffee in Bali ends here. If you’re a tru coffee lover, visiting Bali will be much fun because of the existence of the Kintamani Coffees. It has such a unique flavor that anyone can’t miss and forget. You can get a pack or two by buying them at your nearest coffee shops by your hotel. They come with affordable price and amazing flavor. So, don’t was this perfect opportunity to get some of the best Kintamani Coffee before you’re going back home.